AT&T Inc. (NYSE:T) is looking for more investment opportunities in the high-growth Latin American region after a potential acquisition agreement with DIRECTV (NASDAQ:DTV). The Latin American market is growing at least 10 times quicker than the U.S markets. The acquisition of DIRECTV (NASDAQ:DTV) is on its verge and is likely to proceed after a green light from the State Attorneys. 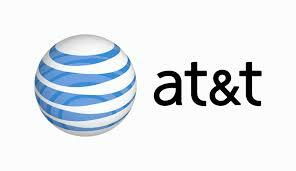 This deal would allow AT&T to inherit DirecTV subscribers throughout Latin America, especially in Mexico and Brazil. It will be one of its most effective expansion steps in over a decade, which is deemed as necessary to ensure growth of the company. John Stankey, Strategy chief of AT&T Inc. (NYSE:T), was motivated with the new Mexican law to increase competition in the telecommunications industry and it would help further investments. America Movil SAB de CV (ADR) (NYSE:AMX), which commands nearly 80% landline market in the region, has approached the company to spin off wireless and landline assets worth $17.5 billion. Penetrating into the Latin American market is the best chance in front of AT&T and it is quite likely to look across other acquisition options in near future.